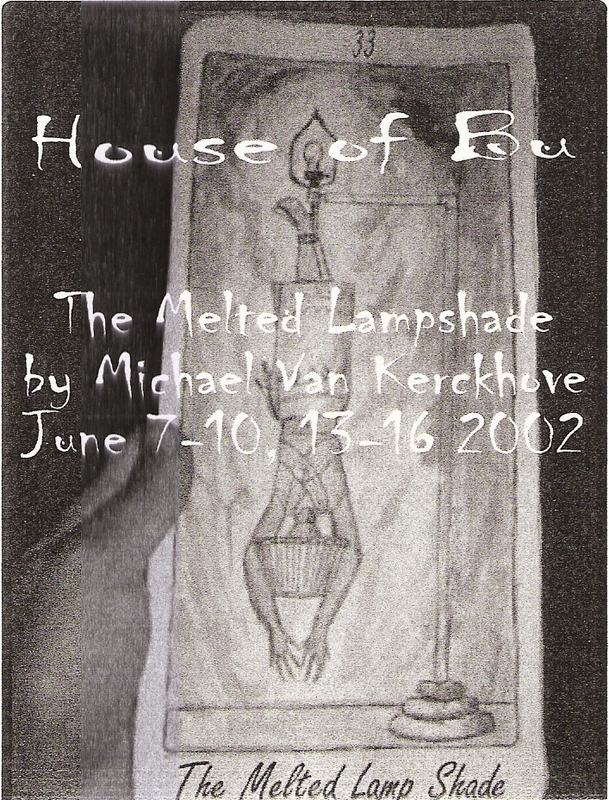 Originally produced by The House of Bu at The Playwrights’ Center of Minneapolis. Directed by Jason “Bu” Archuletta. June 2002. Winner, 2001 Finalist Grant for Playwriting, Illinois Arts Council. Many, if not most, of us had imaginary friends when we were young. A playmate. A protector. Perhaps more. They belonged in our own little world. This is the story of two sets of people brought together by a fantastic experience. Bitchina (William), a New York drag queen/performance artist and his friend Rachel, a lesbian costume/fashion designer. Freddy, a Chicago casting director, and Shane, an adult video store owner. Following Bitchina’s mother’s funeral when he was a child, he meets Frederick, an imaginary friend. Frederick was all things such a friend is. And more. Then, quite suddenly, he became real and ran away. Flashforward to present day, Bitchina and Freddy meet up again in a New York club during Bitchina’s show. The play flows poetically between realities to tell their story as Freddy confronts the meaning of his existence in fantasy, and Bitchina relives the drama that shaped his sensitive gay being. Rachel and Shane, both seekers of truth, are faced with learning that the ones they love most aren’t quite the people they thought they were. The play explores fantasy, magic, realism, and surrealism, and asks the question, What do we do with something that’s no longer needed?